Robert Pattinson has been caught kissing a mystery brunette in Toronto on a night out with his Map To The Stars cast-mates. Will you just let us breathe, Robert – we’re enjoying your single moment. Pictures have emerged of Rob – who is supposedly enjoying a ‘friends with benefits relationship’ with Riley Keogh – stealing a kiss with the stranger after a dinner with Jesse Eisenberg (who can be seen turning away with an ‘OMG’ mouth). There is speculation that Rob’s ‘mysterious girl’ is none other than the daughter of Map To The Stars director Caitlin Cronenberg, which would explain co-star Jesse’s look of horror at this public display of affection. The pair met on the set of Cosmopolis in 2011, where Rob worked with her director father David Cronenberg for the first time and were said to acting ‘touchy feely’ at the movie’s wrap party. On Tuesday, Rob took a break from Map To The Stars filming and flew back to Los Angeles. 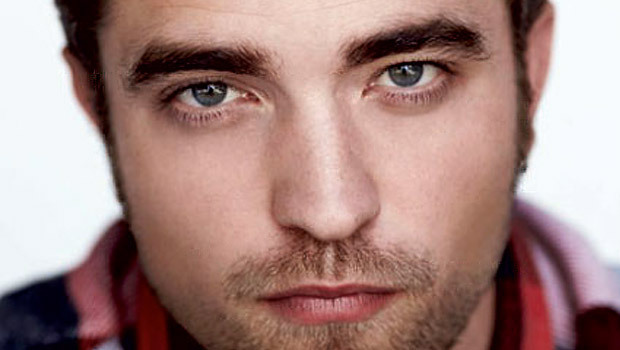 Will he be scheduling in a secret meet with Kristen Stewart while she’s in the city filming her new movie Camp X-Ray?